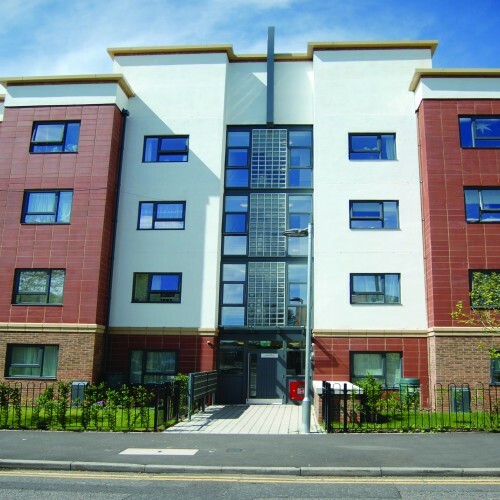 Our range of certified fire resistant door sets (QTE 2 & QTE 7/8) are ideal for high rise or low rise apartment buildings where security and fire resistance are essential. The doors have been tried and tested in situ as well as within fire laboratories and have also passed the BRE simulated arson test. Increased occupation of flatted properties requires safe access and egress, extended fire ratings and smart, attractive entrances to each home. Fire rated screens, fanlight and sidelight combinations are available with our timber fire rated door sets. Call our experienced technical department for details on 0141 958 0444.